Construction law applies to occurrences that take place even after the project has long terminated. In some instances, defects arise during the construction of a structure. The structure that is built as a result of the construction project is all subject to defects whereby responsibility can pass to the contractor. Defects can include water drainage issues, which can become quite problematic for owners. Water drainage issues as a result of defective construction can cause legal battles usually originated by neighboring building owner or similar parties. The cardinal rule for water drainage issues is to find the source of the water. If the source of the drainage is from a neighbor, the aggrieved party has a few sources of recourse. If the drainage is caused by defective construction by a contractor, the owner of the structure can pass along legal liability normally after a dispute with the neighbor is settled. This shows the nuances for bringing forth a defect dispute. Also, the plaintiff should check to verify that the limitation for bringing a defect claim has not passed. What are some legal causes of action that plaintiff can claim under in the issue of drainage related litigation? The next step is to determine the cause of action under which to make a claim. Traditionally, Encroachment is the building of a structure entirely or partly on a neighbor’s property. Although encroachment is normally used for circumstances involving “physical invasions,” parties are free to argue that the water coming onto their property, which is cause by their neighbor, is a form of encroachment. If parties making the claim can argue a valid encroachment, they will be entitled to relief as a result. Injunctive relief is the normal remedy for a successful claim against drainage issues. Here, the defendant is ordered or prohibited against an act. The court order would instruct the defendant to find a way to cease the flow of water onto a neighbor’s property. If the drainage is cause by defective construction work, the defendant can comply with the court order and then subsequently seek redress from the contractor. Damages are ordered to benefit a plaintiff who experiences a loss as a result of the drainage issue. These losses can include property damages, loss of use and enjoyment of property, monetary damages for any loss that can be valued, etc. Drainage issues do not only tend to cause minor flooding, but can cause soil and structural erosion, which can have severe effects on a building and its foundation. Before finalizing a construction project, owners should be aware of the laws that govern defects both latent and patent such as drainage defects. The first step is to hire an experienced construction law attorney who can help you understand drainage defects. 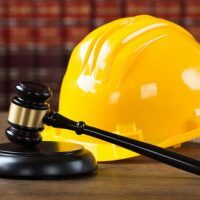 Attorney Brendan A. Sweeney is an experienced construction law attorney with years of experience advising on construction defect issues. Contact us for a consultation.